The Spanish Cabinet has unilaterally taken control of the payment of Catalonia’s creditors to prevent any expenditure relating to the organisation of the October 1 referendum. The Guardia Civil (the national police force) has closed down websites that provide information or commentary on the referendum. Spanish judges ordered Vodafone and Movistar to prevent access to the referendum website ref1oct.eu. They complied. The Guardia Civil has raided printers and distributors in the greater Barcelona region and has confiscated 1.3 million posters and leaflets. The Guardia Civil has served an injunction against all pro-independence newspapers and web-based news offices to ban publication of any material related to the referendum. The Spanish Post Office has opened ‘suspicious’ mail to check if it contains referendum-related material. Meetings in public buildings have been banned and some have been raided and stopped by the police. The European Commission president Jean-Claude Juncker has said that Europe would accept an independent Catalonia if that was the result of a properly conducted referendum. The Spanish government’s repressive measures are intended to disrupt the conduct of the referendum. We support the demands by constitutional lawyers in Catalonia and Spain to cease all action disrupting the referendum, since Section 155 of the Spanish Constitution states that the Spanish government can only compel an Autonomous Community (state or regional government) to carry out legal actions with the prior consent of a majority of the Senate (the Spanish upper house). No such vote has taken place. We are concerned that the level of political repression in Catalonia at the moment is of a severity and arbitrary character not experienced since the Franco dictatorship. We demand that Spain immediately ceases the political repression in Catalonia and enables the people of Catalonia to be allowed to freely express their political views. We are looking for signatures to add to the letter below which draws attention to the very high level of political repression going on in Catalonia at the moment. 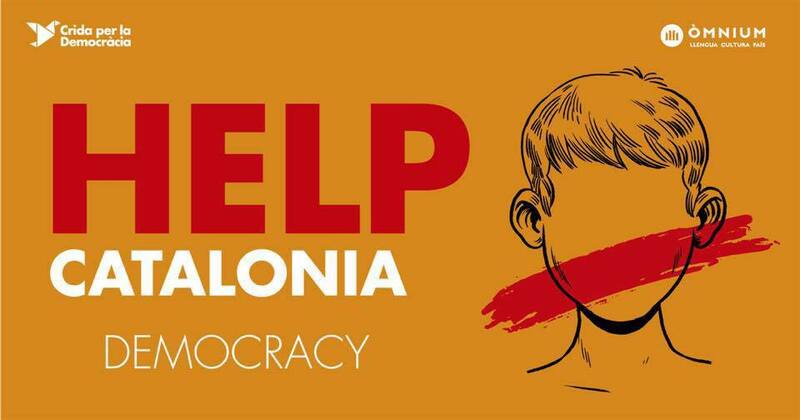 The repression is generally aimed against the independence movement, but the Spanish state is exploiting this moment to target leftist community-based organisations and political parties in particular. We are very close to seeing the mass arrests of political dissidents, and possibly the deployment of tanks on the streets. The left in Catalonia is united in its resistance to the Spanish government. We intend to send this letter for publication the Guardian as an open letter. If you would like to support this statement, we would be very grateful if you could send your name, title and affiliation to: cataloniasolidarity@gmail.com. The situation is changing fast, so we’d appreciate a quick response. Please send before midnight on this Thursday 22nd September. And please circulate widely to your networks. Next Post Letter of support – stop the repression against university professors!